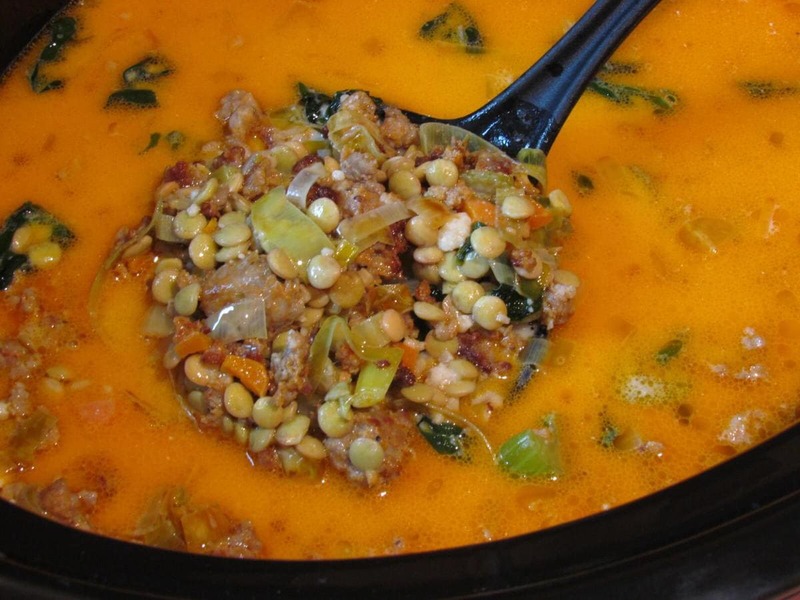 Many years ago I worked at an Italian restaurant that had lentil and Italian sausage soup on the menu. It was not something I would normally be drawn to on a menu and if it wasn’t for the fact that we had to sample the entire menu, I may have never tried it. One taste and I began my love affair with this amazingly comforting winter soup. I set out to recreate that very soup and the memories tied to it. I am proud to announce that it was a huge success. If you are skeptical, give it one taste and you will become a believer. Every time I make this, the whole family fights over who gets the last bowl. It is our daughters favorite. She requests it often. For me, it is a toss up between this and my Chicken Bacon Chowder Recipe. If you are a big soup fan like me, check out my entire section of low carb, keto soups and stews. I even have an ebook make up entirely of SOUP!! 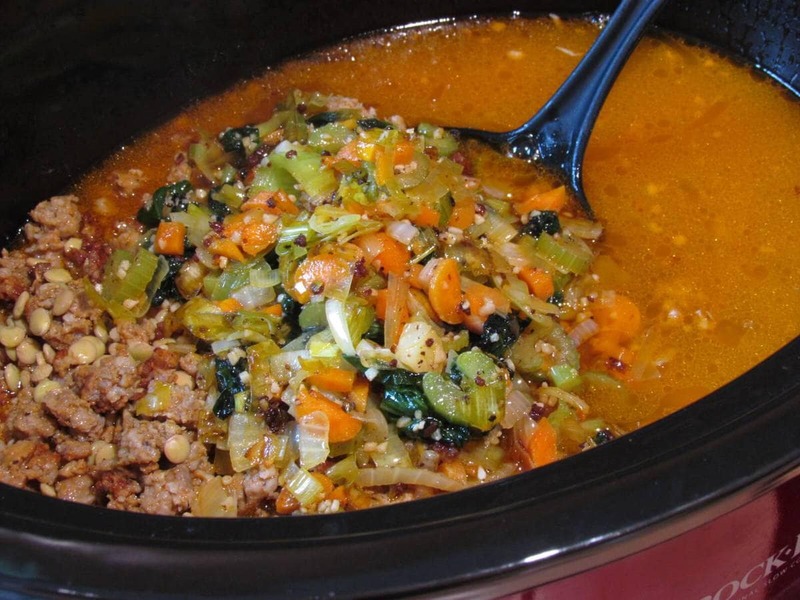 Slow Cooker Soups and Stews – 30 Recipes to Keep you Warm During Winter! 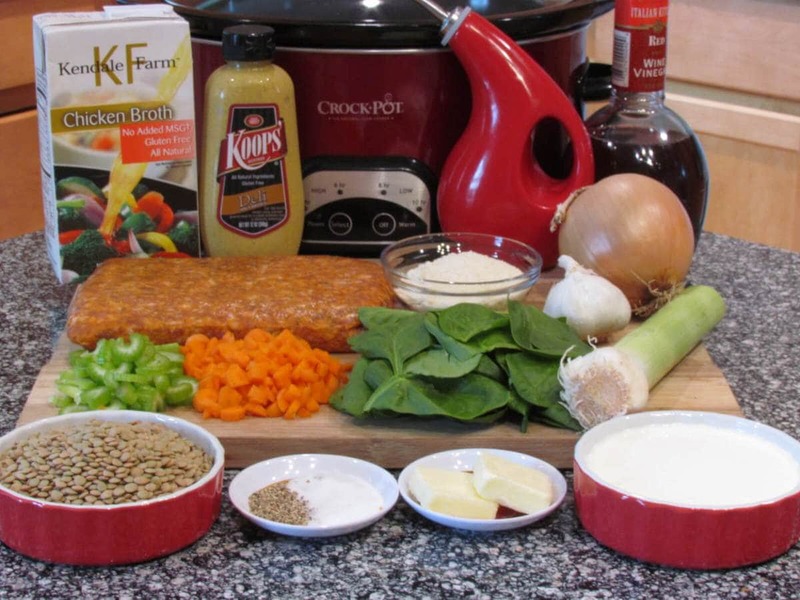 Heat slow cooker on low setting.Thoroughly rinse lentils, and add to slow cooker with chicken stock. 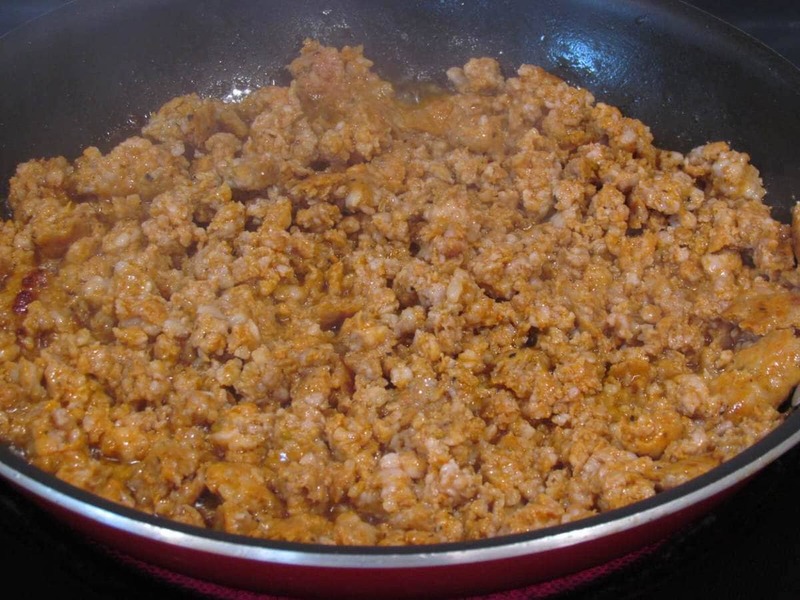 In a large skillet over medium-high heat, brown sausage in olive oil and butter. Using a slotted spoon, remove sausage from pan, reserving drippings. Add the cooked sausage to the slow cooker. 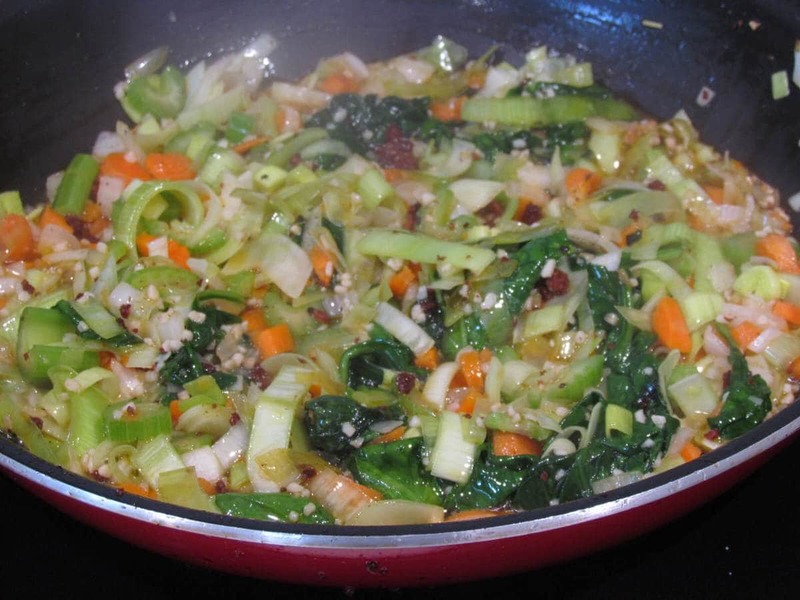 Add spinach, carrots, onions, garlic, leek, celery and a little salt and black pepper to the pan. Sauté vegetables over medium heat until tender. About 10 minutes. 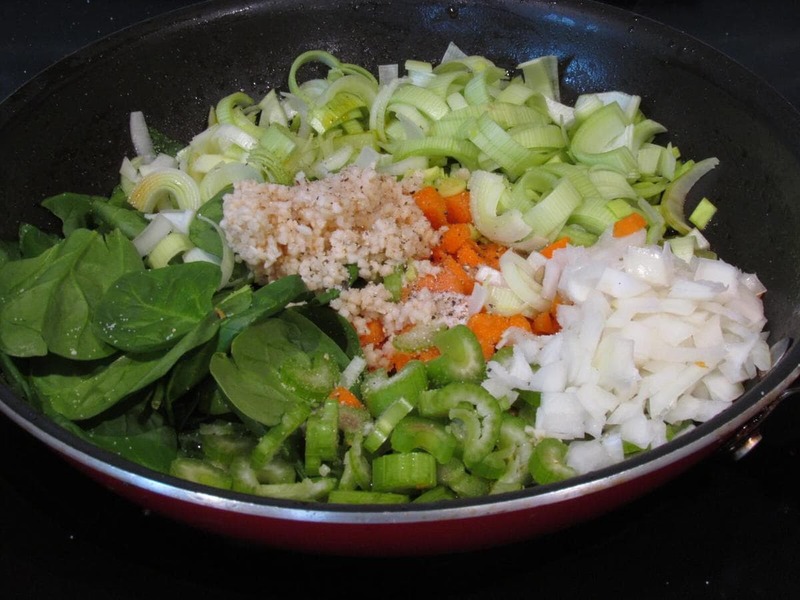 Add sauteed vegetables to the slow cooker and mix in. Stir in heavy cream, Parmesan cheese, Dijon mustard, and red wine vinegar. Cover and allow to cook on low 6-8 hours. This soup sounds really wonderful, Kyndra. Thanks for the fabulous recipe! I made it today, and it was perfect for such a cold, rainy day. I can see this becoming a comfort food in my home. Delicious! Sounds delicious! I’m putting italian sausage on the shopping list so I can try it. 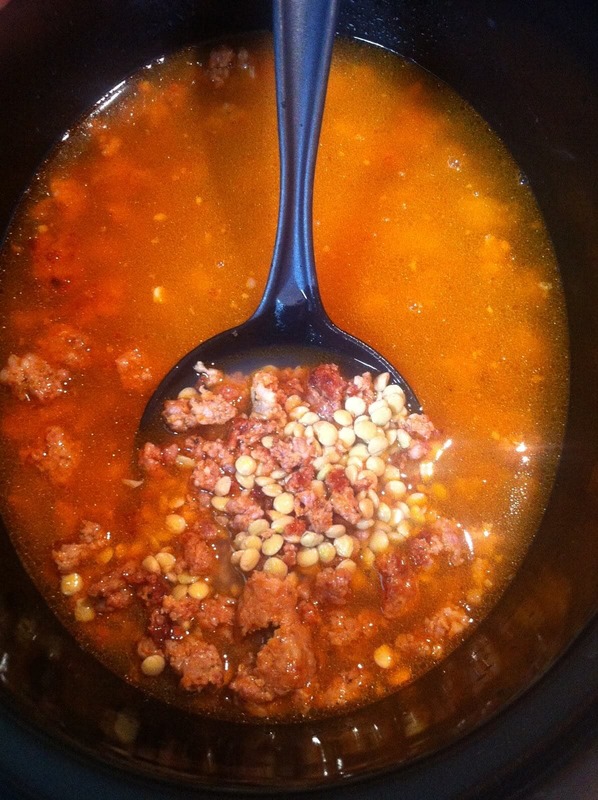 Making it tonight – just had a taste after 4 hrs in the crockpot … DELISH. I used red split lentils cause the store was out of the other. Still just as good. Thanks for the awesome recipe. Its cooking now!! Ill post a review when it’s done! This was delicious. I made this on the stove, doubled the veggies, and had a wonderful meal :). Thanks for posting. I made this over Halloween weekend so my kiddos would have something to eat that was warm and easy. 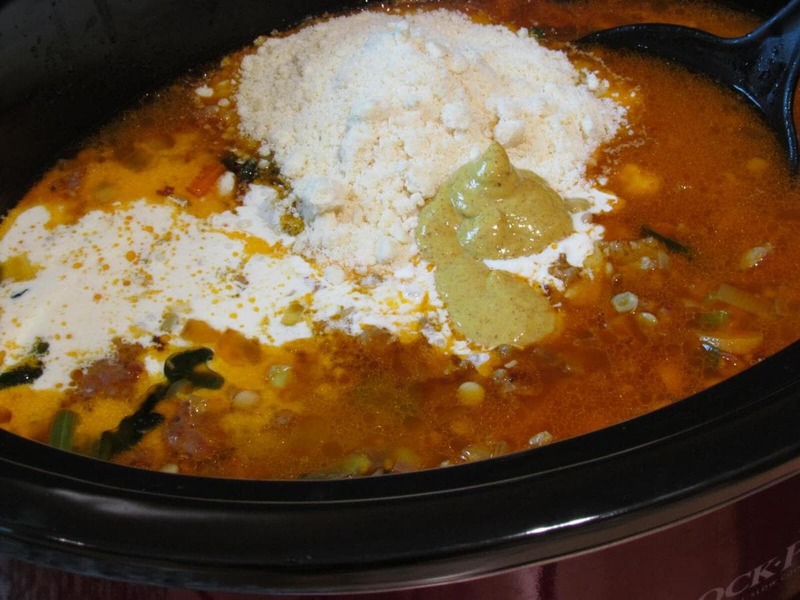 They LOVED this soup/stew as did my hubby and I. I did not use quite the amount of chicken broth it called for (bc I didn’t have enough) and added about 1/2 cup of red wine as well, so it was more like a stew. A very delicious stew! Thanks for sharing! Is that 4.9 carbs a cup or 49 carbs? It is 4.9 net carbs per cup. As with everything on a low carb diet, you need to check your labels. I.E. rainbow lentils are more than double the carbs of regular lentils. Some heavy cream contains 0 carbs while others contain 1 gram per tablespoon. 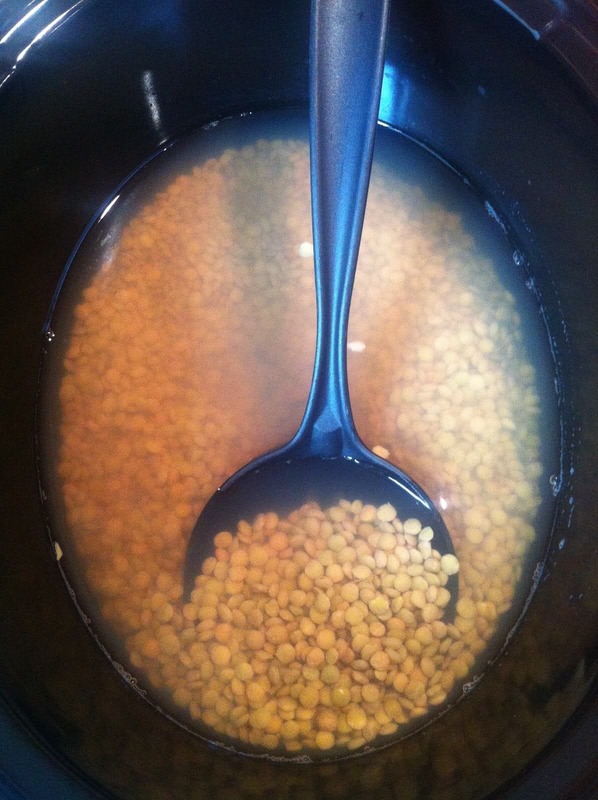 I used lentils I had in my pantry making my soup 12 grams per serving. I’ll have to watch my carbs closely for the day, but it’s totally doable to have an amazing dinner. I made this today and oh my! It is so delicious. The Italian sausage brought just the right amount of spice. I have heard my husband comment on how good the sausage “chili” was at least a half dozen times tonight. Great recipe!!! This soup looks great! Have you ever tried freezing it? I live alone and can’t eat a whole batch at once…thanks! Hi! 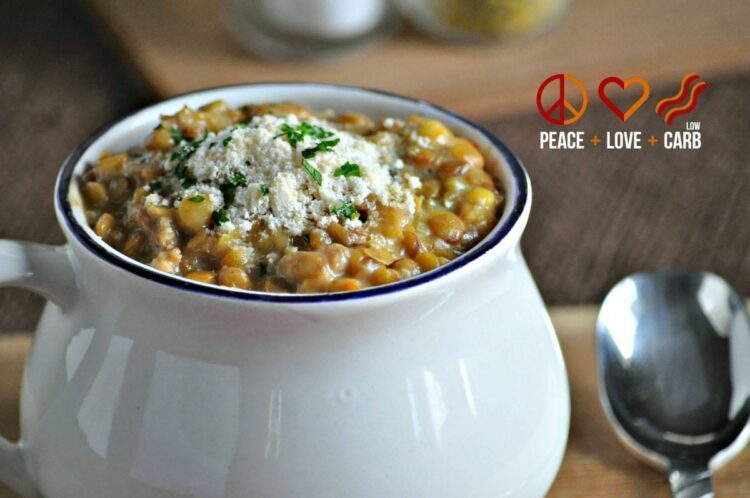 I have been making this soup for years and LOVE IT! I usually double it and freeze the second batch for another time — btw, freezes fantastic. I just don’t add the milk/cheese before freezing. Maybe a stupid question but I will ask anyways. Is there a difference in “heavy Cream” and “Heavy Whipping Cream” for this recipe? I want to try this, but I am new to the heavy cream recipes. There is not. They are the same.